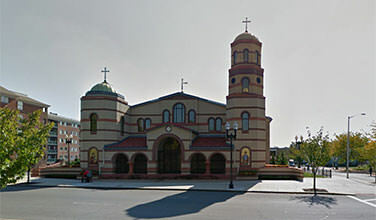 The Greek Orthodox Community in Lynn, Massachusetts was incorporated on April 5, 1905. Over one-hundred years ago in the City of Lynn, a pioneer group of Greek people established this Church for the purpose of perpetuating their religious and cultural heritage. Since then, the St. George Community has grown into one of the largest religious congregations, not only in the city of Lynn, but also in the Greek Archdiocese of America. As a group, the Greek people of Lynn have contributed immensely in all aspects, to the general growth and development of the city. At the end of the last century, one-tenth of the city’s population was of Greek heritage.